A Desertview Federal Credit Union Home Equity Loan can assist you in financing just about anything. 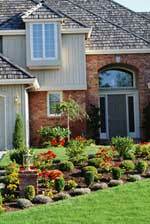 Home Equity loans are popular because of their tax deductible interest. DFCU will loan up to 80% of the owner's equity. Members have the option of taking the money all at once or accessing a line of credit where they can withdraw the money as needed.